At street level, the buildings are home to a wide range of retail and leisure businesses including shops, restaurants and art galleries, taking advantage of the immediate views of the Hudson River and an attractive marina. 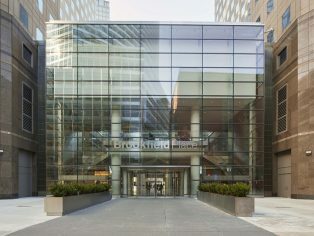 One such space is The Courtyard, a shopping and leisure arcade located between the towers of 200 and 250 Vesey Street, previously known as Three and Four World Financial Centre respectively. The buildings’ owner, Brookfield Asset Management, wanted to upgrade the space, giving it towering glass façades on two sides to open the interior to natural light and also maximise sight lines. The walls of glazing required were of significant height – the façade facing the marina is 12m high and 27m wide, while that on the Vesey Street side of the building is 17m high and 21m wide. 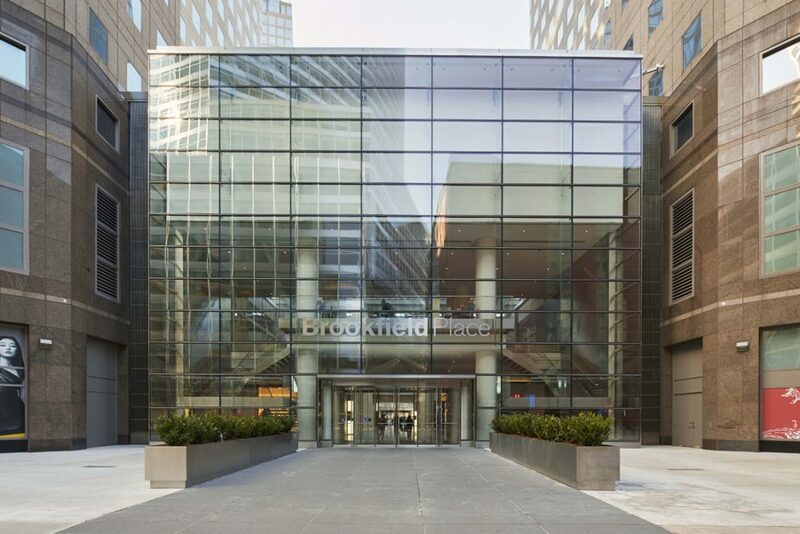 The sensitivity of the location, right in the heart of Manhattan’s financial district, made safety and security a high priority for the glazing. Brookfield Place, formerly known as the World Financial Centre, is a collection of six large buildings that dominate the iconic lower-Manhattan skyline in New York City.